Have you found an online vendor selling Single Cane Estate Worthy Park? This caught my eye in the Airport duty free shop. Am a fan of what Worthy Park are doing and costing around 30 Euros for 1 litre bottle thought pretty good value. A bit of googling found that in 2015 Bacardi launched a collection of premium aged rums known as Single Cane Estate Rums. Currently there are 2 rums in this collection with each is crafted entirely at a single source. This one is from Jamaica's Worthy Park Estate in St. Catherine. From Bacardi "As the world leader in rum, Bacardi has a unique ability to drive rum category premiumisation, the credibility to deliver new perceptions of the rum experience, and the insight and innovation to create new categories within rum." To me clearly marketing tosh and it's more like Bacardi wants a slice of the independent bottling markets pie. Worthy Park has a long history. Established in 1670 with commercial production of cane & sugar starting in 1720 Forced to cease rum production by the Jamaican government in 1962 due to an oversupply of Jamaican rum. In 2005 Rum production started again distilling in the traditional Jamaican Pot Still method. 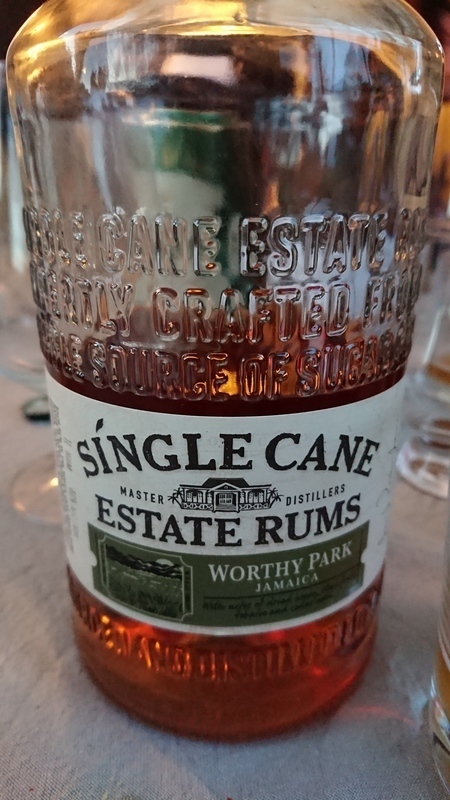 Worthy Park has been released by independent bottlers but they sell using their own label "Rum-Bar" . Bacardi's version of Worthy Park comes in a nice modern presented bottle with embossed lettering. Aged between 2-5 years in white oak casks. Bottled at 40% abv. Color is a dull dark amber (added colouring). Recogniseable Worthy Park Jamaican funk aroma. Taste quiet oaky and a spicy kick with a dry finish. I can't really make out the subtle notes that I have experienced from other Worthy Park releases. Everything appears to be muted. Like listening to music with earplugs in. To me this is a “dumb” down version of Worthy Park. It’s a decent rum and good value for money especially if you want to get into a Jamaican style rum. Knowing what Worthy Park themselves put on the market and what other independent bottlers are doing with Worthy Parks liquid I”m just a bit disappointed. Smells like a gasstation and tastes like a smoothie of the Vasa museum(house of an old swedish oak ship) and the sunday morning breath of the late Christer Pettersson(swedish murder suspect and alcoholic). This is bad. Not even with coke and ice!! Ok, ok. I, fortunately, was not duped by the sneaky faux-premium branding. And while I tend to avoid Bacardi at all costs, I do love me some WP, so I was still interested in trying it out. And you know what? It's not half bad! It's nowhere near the best WP has to offer—it's been over-diluted and over-sweetened—but it's still pretty darn tasty. I've said it before and I'll say it again: Worthy Park don't make no bad rum. I may not love all of it, but it's all solid. And if you have your heart set on bringing home a hard-to-find bottle from the Duty Free, there's a very good chance this will be the best you can do. You might pay more than it's worth (ok, you're likely to get hosed unless it's on sale), but again, it's really not as bad as everyone says it is. If other, non-Bacardi WPs are available to you, then by all means, get those instead. If not, this is a great one to start with and enjoy however you want. A normal standard rum from the English school. I like the concept of the single cane thinking. It is a bit oily which you van expect from a jamaican rum. but also not what i thougt. in the nose it is promising and tipical jamaican rum. but on the palate it is thin and a spiritus taste is over all there. also not long lasting at the end. with some wood, or even old wood. 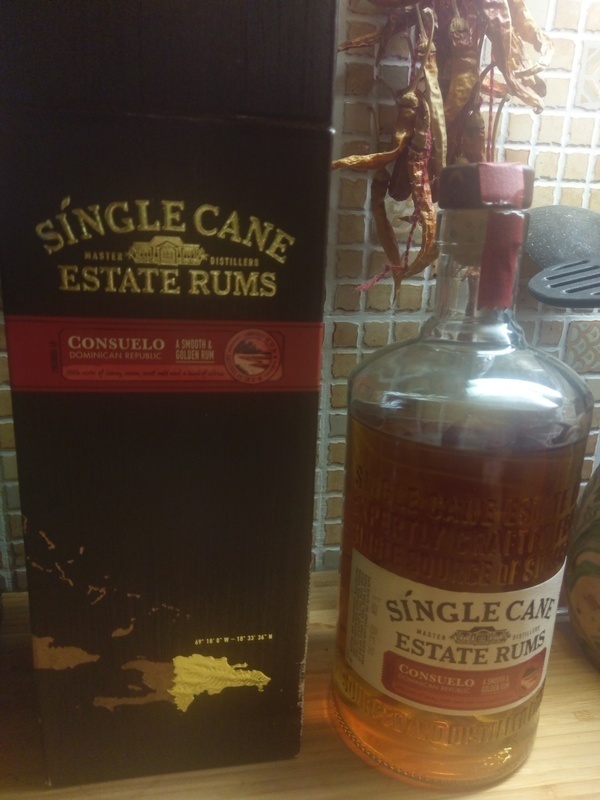 have found the Single Cane Estate rum (Jamaica) in the duty free section as a 1 L bottle. the rum smell is dominated by an alcoholic note. The aftertaste is dominated by a longlasting honey-taste which is interesting but raises the question to which extend this is a natural rum without artificial flavours. 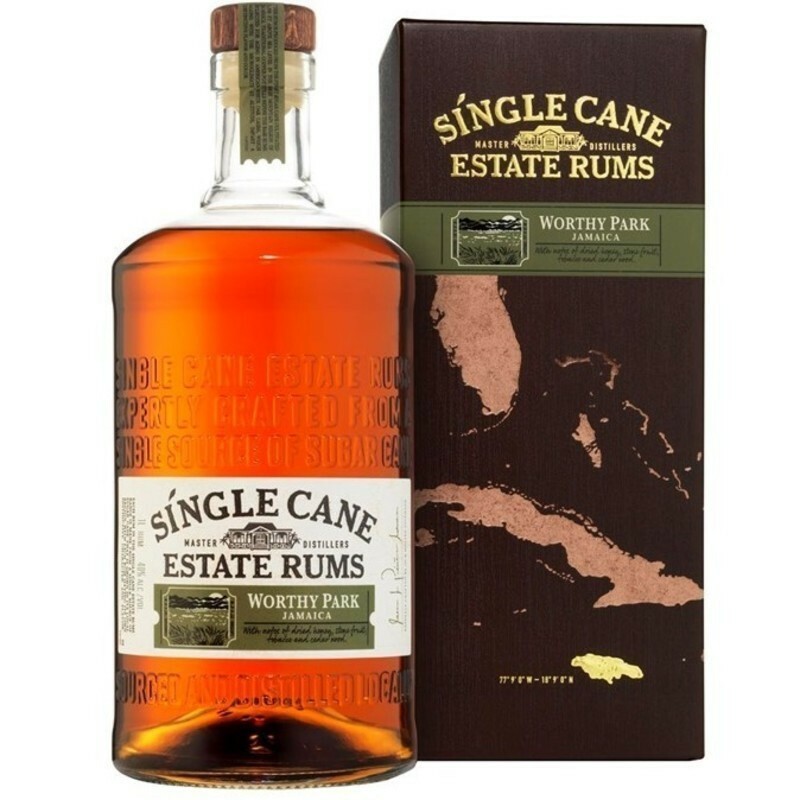 Bought a bottle of Single Cane Estate Worthy Park from the tax free store. This is a tax free only rum from Bacardi. Very presentable packaging, nice bottle, beautiful dark green label, so all in all the marketing team has done a tremendous job. Unfortunately the rum itself has a strong alcohol smell and taste to it and absolutely no depth at all. Plus you get a nasty burn at the end. This would have all the makings of a 6+ star rum, if it didn't need that much time to breathe in the glass before I was able to make out the subtleties in its taste. I'm not a very experienced rum drinker, but this is not for sipping. It's harsh, and suffocates a lot of what lies underneath. It almost gets into the upper ranks due to its finish, which is long, characterful and oaky, but I do let it stand for 15 minutes before drinking in order to experience the full spectrum of flavours here. A few drops of water might be nice. There are more refined spiced rums out there for the money.